This has been one of my favourite place since I was little. Katoomba and Leura are magical, special places where fairies live. 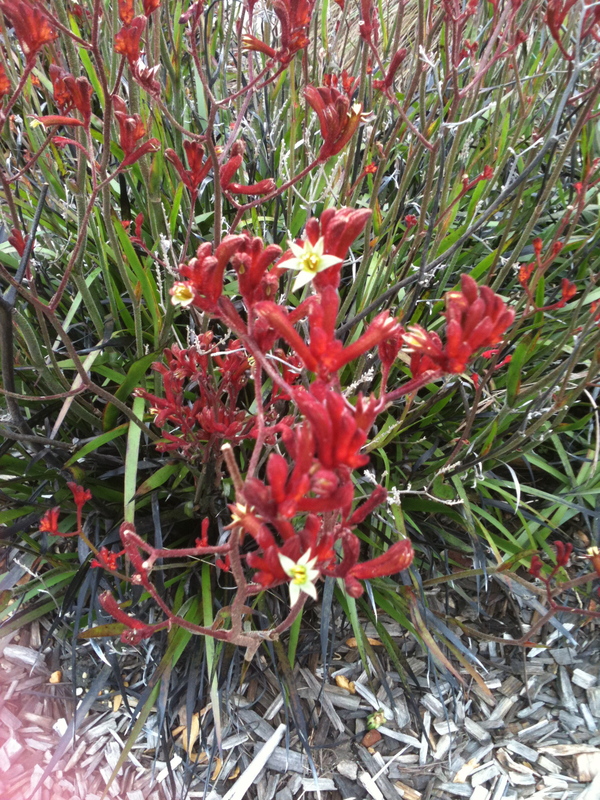 The area is not just special to me – it’s of important spiritual significance to the Gundungurra Indigenous People. 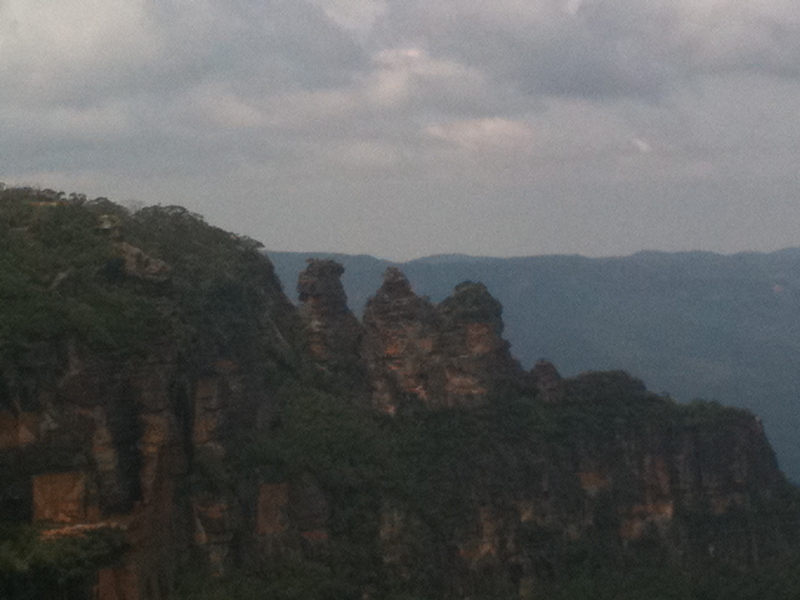 Meenhi, Gunnedoo and Wimlah were 3 beautiful sisters of the Katoomba tribe. They fell in love with 3 men of another tribe, whom they were forbidden by tribal law from marrying. Their lovers decided to kidnap them and a battle ensued. A witchdoctor from their tribe turned the sisters into stone to protect them during the battle with a view to change them back afterwards but… he was killed as well and the girls have been there ever since – still beautiful, immortalised in stone. Of course this isn’t the first story I heard: when I asked Mummy about the magnificent rock formation and she told me they were three old ladies and their names were Ertle, Myrtle and Gertel. You will have to forgive me as I only had my iphone camera which isn’t the best – I left my real camera behind on this trip. If you are into bushwalking, this is the place. I only ever did it out of sufferance as a kid but these days I have an ipod, it’s good exercise… so not so bad. Being made to do such things is never fun but as I do it of my own free will these days its ok… as long as it’s not a 6-hour long affair. A full list of the tracks, the distance and the features of each track can be found on the bluemountainsaustralia tourist website. 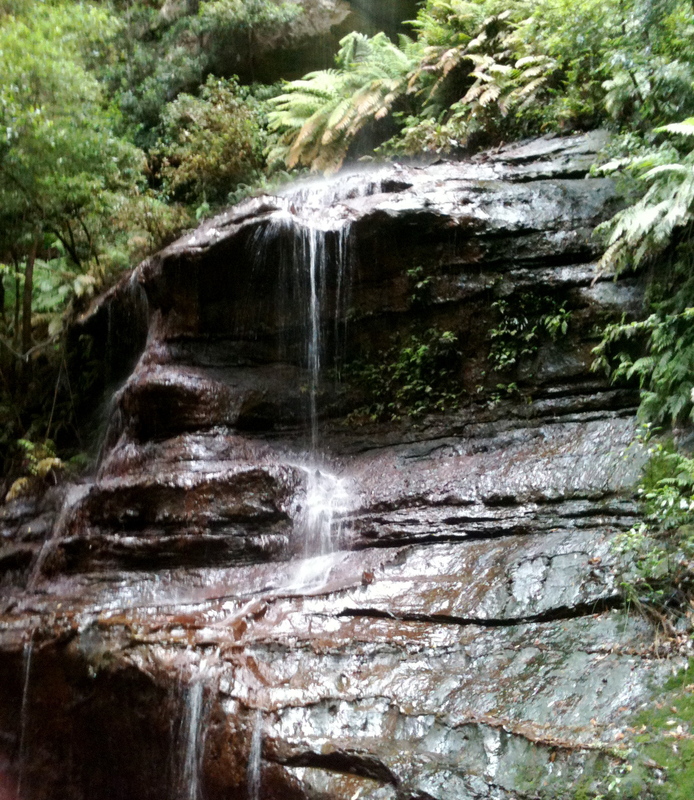 I’ve done the Echo Point/Katoomba Falls walk which is a good one – 4 km, we chose an easy track then a medium one. 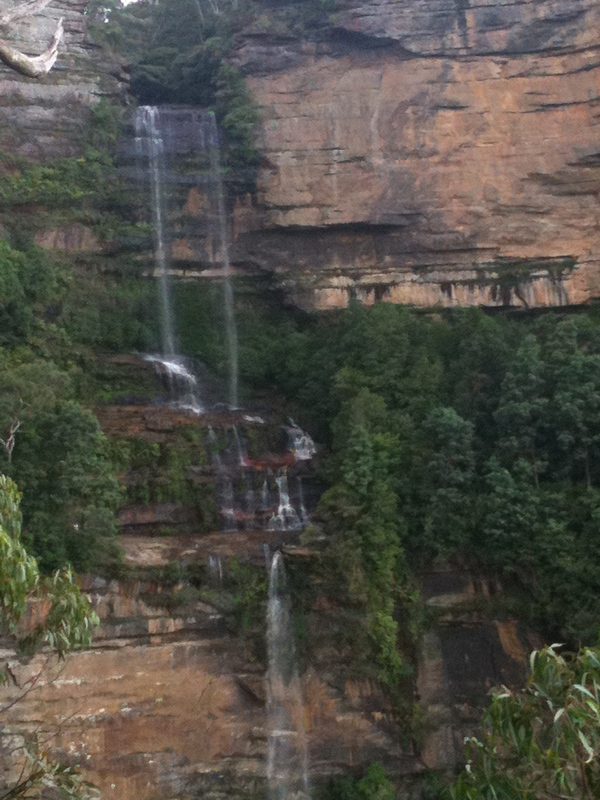 This time we did an easy Katoomba Falls one but it had a lot of steps! The hard tracks are – well, quite hard! I am quite a fit person but maybe just weak and pathetic? We walked down slowly as the ground was wet (there are a few little waterfalls on the way) and my nephews C and F and I ran back up – we were pretty knackered after that and covered in sweaty mud with leaves in our hair. It was worth the effort thought because we saw a lyrebird walk right in front of us – the first one I’ve ever seen so close to me in the wild. I couldn’t get a picture! After a bush walk you can go back, shower and then go out for Lunch/Afternoon Tea/Dinner at the Paragon Cafe on Katoomba Street. I get excited just writing about it! 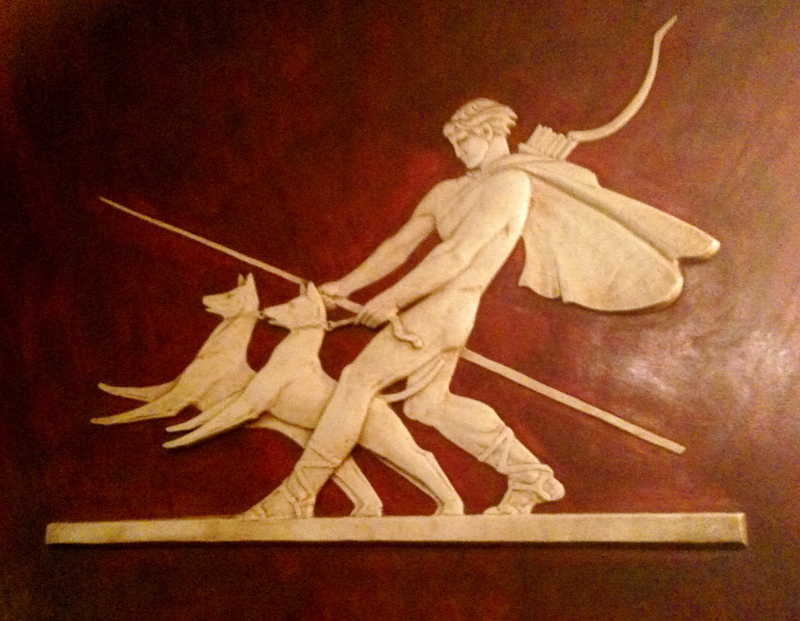 This 1916 art deco cafe is now heritage listed and it’s gorgeous: Grecian reliefs of the walls, mirrors, original soda fountains, a tearoom with chandeliers and a bar/salon out the back. I am sure the cash register and the lavatories are original too! 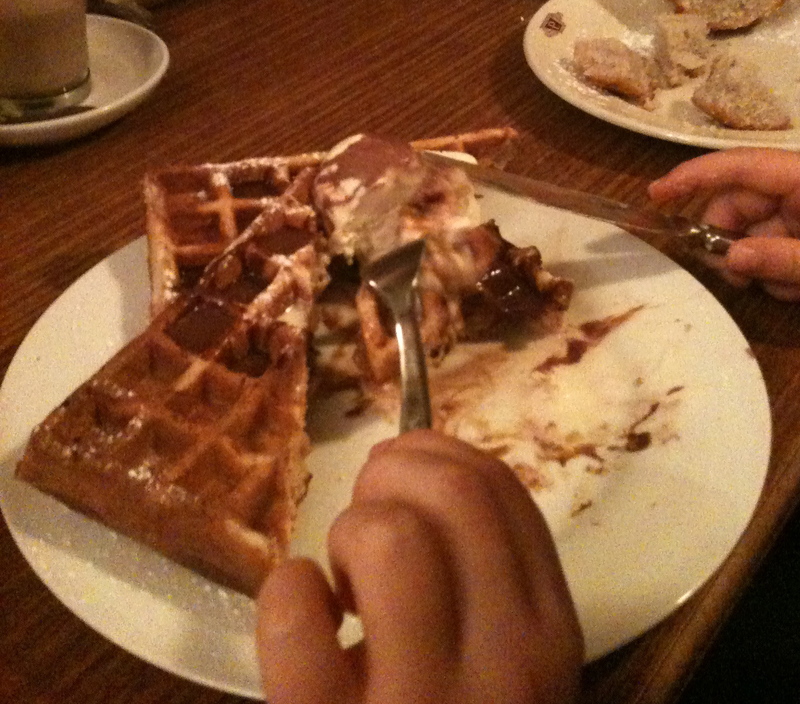 I recommend the waffles which are great but Mum tells me is not part of the original menu as they are an American contribution to our cafe culture (these being American waffles, not Belgian ones)The fish and chips and devonshire teas are original as is the passionfruit soda, which is blinding! My parents used to take me here, stuff me full of milkshakes and waffles and then let me choose from the fresh chocolate counter on the way out. For a kid who never got many sweets it was like Christmas. Lovely Belgian hot chocolate but they ran out of passionfruit syrup this time. Read a review and see some proper pictures of the cafe here. 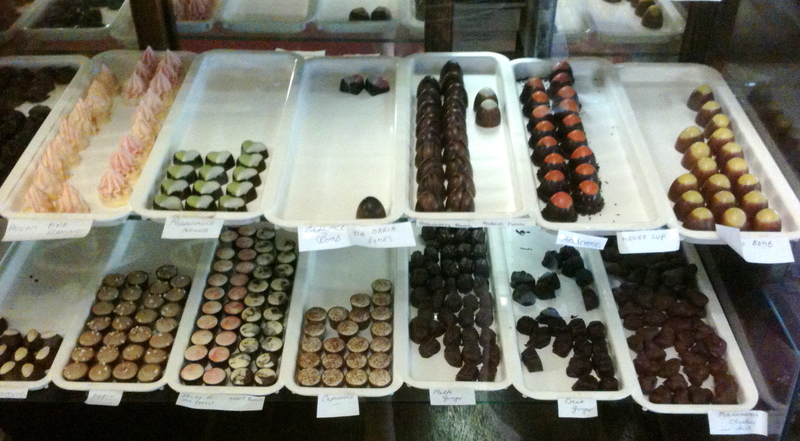 Fresh chocolates at The Paragon Cafe. Yes, yes, YES! I am a bit sad that, as this place is so famous and so full of tourists (the famous visitors portraits can be seen on the wall – basically every Hollywood star who has been to Australia since 1916 I think) they have become a bit complacent with their service. They were understaffed on the day we went too, the poor girl was running around and they didn’t have a lot of the things on the menu. I also like Blue M Cafe and they seem to be one of the few places with wifi – a godsend when I had an assignment to submit to my university. I enjoyed their chocolate biscuits and the display of local artwork. The many bookshops in Katoomba street are very hard to drag my Daddy away from as he loves his books. 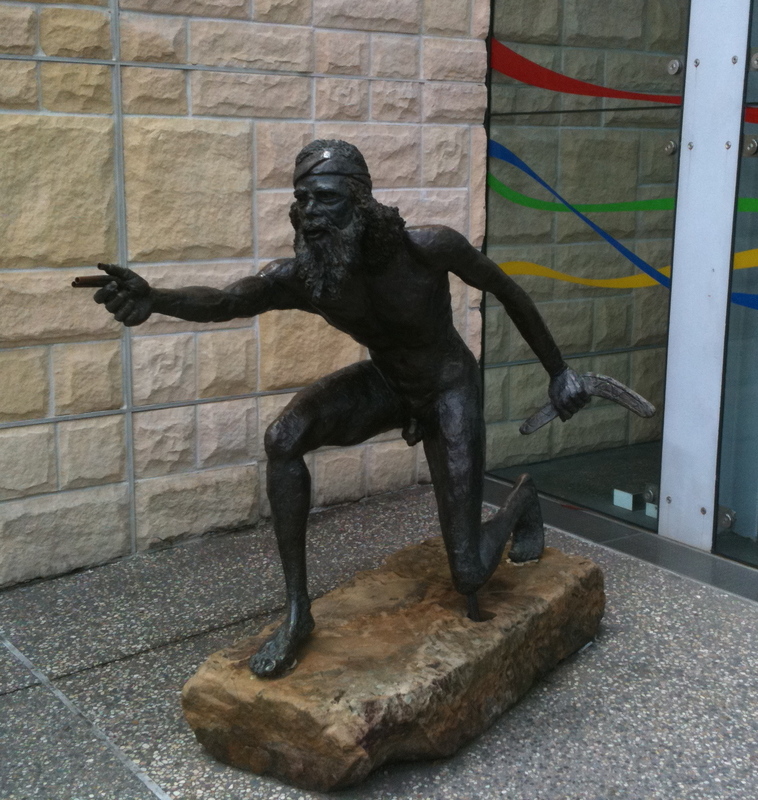 Go for a stroll and find a treasure along the main drag. Leura is a posh little village down the road from Katoomba with an irresistable main drag – everyone who goes to Leura knows about the famous sweets shop there, the fancy boutiques, the French restaurant, even the chippie has amazing fish and chips. My sister took us to the lovely Treis Elies Greek Taverna. It has everything you could ask for in a Greek restaurant: fresh meze; halva and baklava oozing with honey; dodgy Greek wine, nice Australian wine – I loved it! Elizabeth Rosa has high quality and breathtakingly expensive stationary and my nephews and I spent half an hour exploring their elegant quills and leather bound notebooks – it’s very Harry Potter! The staff are so lovely, patient and helpful and I picked some wonderful cards and an etiquette book with their assistance. The lady in the shop even reminded me of one of the Elisabeth Rosa notebooks: pristine, elegant, crisp. Scenic World is Katoomba’s own little amusement park – well, nature’s amusement park – you can buy a pass to get cable cars across the Katoomba Valley, use the suspended walkway and get a ride on the Scenic Railway which is fun – it’s the steepest rail tracks in the world apparently and it used to go quite fast but not anymore which was a bit of a bummer. The have a revolving restaurant with a great view and a shop that sells boomerangs, digeridoos and other such useful household items. There are millions of Bed and Breakfasts, cottages and hotels in this part of the world but I like the Mountain Heritage Resort because that’s where my lovely Granny had her honeymoon – she’s 95 now and still treasures those memories. They have a posh day spa and do an impressive breakfast. When I was 14 I stayed there in the tower room, which was round and fit for a princess. I also recommend the old and lovely Carrington because they have a famous afternoon tea in the Grand Dining Room every Sunday. Of course, being Australians they call it “High Tea” because they have NO idea what the differences are between afternoon tea (a high society practice including canapes, sandwiches and cake taken before 5) and high tea (an early evening meal with cooked meat eaten by workers at 5 or 6 pm) there is some bizarre explanation to the contrary on their website, bless them….anyway, we may be plebs but we aussies do a spiffing afternoon tea! Next to the Carrington is The Old City Bank is a nice old pub – I suppose it used to be a bank? I had dinner there with B and S and the precious few hours we had together this year were well spent having a pretty amazing pub meal – they do wood-fired pizza and nice salads. They paid for me which made the whole experience even better.